It’s been documented by the family who inherited the Atlantis ring that around 1860, the French Egyptologist Marqués D’Agrain, discovered the ring in the excavations of the Valley of the Kings in Egypt. A radiesthesist, André de Belizal, later inherited the ring. He was a respected expert in Radiesthesia, the science that uses the vibrational fields of the human body to access information about objects of animate or inanimate nature. By using specially calibrated instruments and a scale of qualitative measurement to decode this information, the radiesthesist establishes resonance with the energy field of a person, an object or a location. The Atlantis ring, several thousand years old, was adorned with geometric symbols which were placed and balanced according to a very special arrangement. De Belizal investigated and found that this ring’s geometric shapes created a subtle energy field of powerful vibrations. He found that its electromagnetic waves prevented the alteration of energy patterns, resulting in a protective shield for whoever wore it. It also increased the ability to tap into one’s own intuitive powers and the subconscious mind. De Belizal’s account for the ring is part of the book “Ces maisons qui tuent” (Houses that Kill) by Roger de Lafforest” (pages 107 to 116). The book describes a series of locations and events that affected people’s energy in a detrimental way in the 1950’s and mentions tools and special devices that were effective in the protection and transmutation of these harmful frequencies. Roger mentions the story of Howard Carter, the archaeologist who survived the “curse of the Tutankhamon mummy” whose tomb was discovered in 1922. At the entrance of the tomb, there was an ominous inscription that threatened those who dared to disturb the Pharaoh’s eternal sleep. The first to succumb to the ‘curse’ was Howard Carter’s partner Lord Carnarvon, who died suddenly soon after the discovery from an inexplicable cause. The list of those touched by similar mysterious deadly fates within a two year period includes over 18 names. As the story tells, Howard Carter was the only person who was not affected by this chain of events and according to the book, the reason was his protective amulet, the Atlantis ring. Only legitimate historical evidence could confirm the accuracy of this story. Nevertheless, Lafforest was himself a great believer in the exceptional properties of the Luxor symbol/ring which he got to know well through his personal relationship with Belizal. He mentions the Atlantis ring and its beneficial qualities once again in his book “La Magie de Énergies” in which he also denounces the fact that many merchants were producing crude copies of the ring without the proper specifications for nothing other than commercial profit. The Atlantis ring becomes the Atlantean Bar or Adjustable Luxor. Belizal baptized the geometry of the Atlantis ring with the name “Wave Form of Luxor”. After carefully studying the geometry of the Atlantis ring, Belizal created the so-called “Harmonizer of Luxor”. A device for the protection of places such as the home or the office. 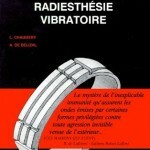 In his book “Physique micro-vibratoire et forces invisibles”, he reports that the design of the Atlantis Ring was used to create the Adjustable Luxor, also called Atlantean bar. He found that this shape when flattened kept the properties for compensation and balance of the cosmo-telluric energies in an area, making the place’s energy healthy again for living beings. The Atlantean Bar is to be oriented with the magnetic north-south axis. With the use of a pendulum you may rotate the bar until you find the best angle for the energy to flow. 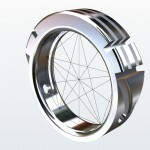 “This device, firstly conceived as a ring, now larger, is based on the authentic waveform found in an Egyptian sarcophagus and whose property consists in the creation of a protection zone, balancing the energies and shielding their users from the rupture of certain cosmo-telluric forces, which occur from a natural source or from sources created artificially by men, with the aim to protect, for example, against the robbers of funerary monuments (pharaonic tombs of The Valley of the Kings). 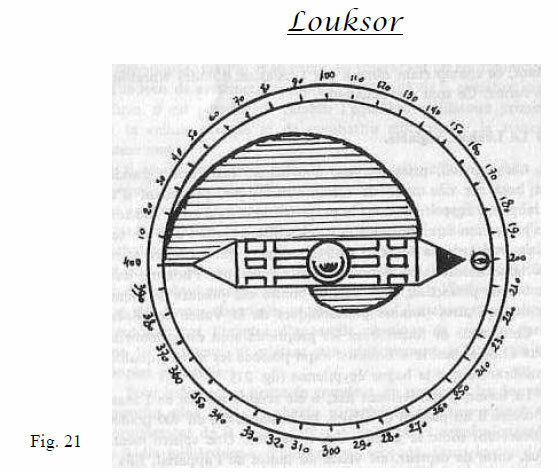 This waveform with exceptional properties has been used in the “Louksor” which contains the same balancing qualities of the Egyptian ring (fig. 21). The shape, originally fixed, has been made mobile with an axis in the center of a round plate, which is divided in 400 degrees, representing all vibration ranges. A metallic sphere, a type of receptor, is attached to the center of the device. Its function is to capture the cosmic energy that, absorbed by the wave of shape, will radiate the frequency with which the mobile shape has been set to. The photos on the side show the original Atlantis ring which was made in clay. They were published in the book “Ces maisons qui tuent” (Houses that Kill ) by Roger de Lafforest, the prominent French journalist who received information about the ring in a letter sent by Andre de Belizal. The original ring, made of clay belongs to the French family of Andre de Belizal. The rings I make are not reproductions of the original ring. 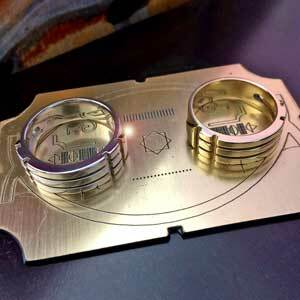 These rings are my own designs, inspired by Belizal’s work – the Harmonizer of Luxor) and the original Luxor symbol, with precise calculated measurements and proportions which were tested for high energetic frequencies as I am myself an intuitive dowser, energy worker and Reiki Master. The Atlantis ring is composed of two isosceles triangles, 3 long lines and 6 short lines, 2 holes and a straight groove uniting these. The design follows a specific measurement based on Sacred Geometry proportions (the Golden Mean) which helps mostly in three areas: Protection, Healing (energy balancing) and Intuition. Rings produced with these sacred geometry patterns represent the effective implementation of the powerful Luxor symbol. The Atlantis ring I created follows Sacred Geometry specifications. I used my dowsing abilities to test each design and the healing frequency of the rings. A few clients who are experienced dowsers, have sent me exciting feedback and testimonials on how they found the powerful high energies of sacred sites on the ring. They reported that the ring vibrates the HHG (Higher Harmonics of Gold), the HHUV(Higher Harmonics of Ultra Violet) and the spiritual wave carrier – all frequencies found in sacred healing sites around the world. 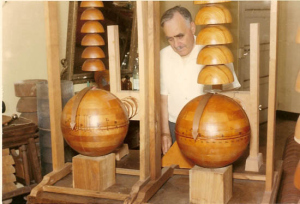 I had tested several designs before arriving at the final piece that contained the strongest vibrations within a healthy range. These testimonials were a wonderful confirmation! Includes insights from Anthony Cowan, energy healing practitioner and Radiesthesia researcher in Sarasota, Florida. 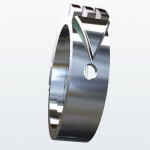 The Atlantis ring’s effectiveness is due to the waveforms created by the correct application of the Luxor symbol. Some variations of the symbol feature pyramids or domed lines which may not work as expected. 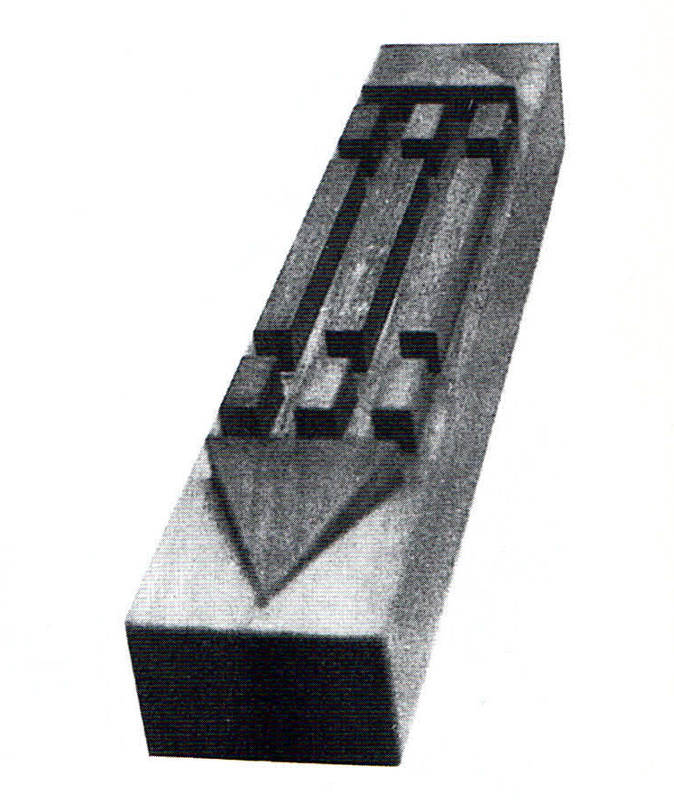 Radiesthesists usually prefer flat form designs for the Luxor bar as they are corrected to cancel out the emission of vertical propagating waves. What are vertical propagating waves? To understand that concept, one needs a basic overview of the science of Biogeometry – a design language which interprets and utilizes the functional relationship between subtle energy and shape to restore balance and harmony to our environments. The study of Biogeometry was initiated by Dr. Ibrahim Karim, and has been researched for decades. It unites ancient Egyptian energy science, physical radiesthesia and modern tools – specialized pendulums and devices. It embraces holistic and practical intelligence and applies concepts of Sacred Geometry to assist in the creation of harmonious forms which have beneficial effects within and around us. The cornerstone of BioGeometry is the One Harmonizing Subtle Energy Quality (BG3) at the center of the natural forming process. These initials refer to the ‘BioGeometry Three’. The three basic qualities that are in resonance with The One Harmonizing Subtle Energy Quality and are used to detect it: Horizontal Negative Green (HNG), Higher Harmonic of Ultra Violet (HHUV) and Higher Harmonic of Gold (HHG).They are found simultaneously as the main components of the One Energy Quality (https://www.biogeometry.com). carrier wave called Negative Green. It is important to note that Negative Green has two distinctive wave properties – horizontal and vertical. Horizontal Negative Green has a beneficial influence on living systems while Vertical Negative Green has a preserving influence (as employed for mummification in the pyramids of Ancient Egypt). Prolonged exposure to this vertical aspect is detrimental to living systems. Modifications or corrections to these shapes are necessary to avoid getting excess exposure to the vertical propagating waves of negative green. If you use pyramids or domes that have not been corrected or designed properly you take both aspects of NG from the bottom of the pyramid. The Atlantis ring is made with precision for the emission of beneficial energies that resonate with the harmonizing BG3. I occasionally receive messages from clients asking me to create the AR (Atlantis Ring) with pyramids or certain motifs on the inside. I have always been reluctant to use these shapes on my AR pieces. I was inspired by the work of Belizal to create them with a clean and flat geometry, which is consistent with the concepts of Biogeometry as explained previously. Metals have their own inherent vibrations and will resonate differently for each individual. The choice of metal is often based on the option that is mostly attractive for the user, this reflects a level of compatibility with that particular energy. There are many other ways to choose a beneficial metal option – pendulum dowsing and kinesiology are some of them. However, an intuitive choice is usually good enough for those who do not have access to specialized techniques. The Atlantis Ring is made in a growing family of diverse metallic compositions: Silver, Gold, Titanium, Bronze and the newly added options of Platinum and soon to be made available: Titanium Aura! “I washed my hands prior to putting on the ring and the first sensation was how etherically clean it is, no energetic noise, and no distortion or perturbation of the etheric nadis in my fingers – which happens when I wear any other ring. The second feeling was one of familiarity with the metallic composition and shape-caused waves of the design – a strong resonance with BioGeometry’s BG3! Effects are more noticeable and activating on my right hand, whereas the ring on my left hand evokes a softer, more soothing effect. In terms of appearance, I love it, it is a work of sacred art. Overall, I’m delighted and feel this confirms I am making a good investment in the Atlantis Ring. Your customers will love this ring. It vibrates smoothly and doesn’t ruffle my etheric channels. I have developed the tendency to wear it on my left middle finger where it feels more protective than activating. The aura of the ring does not waver from gold and violet … I love it. Thank you for your consciousness and intentionality throughout the whole process of conceiving and creating the ring.” ( Anthony’s message upon receiving his first Atlantis ring ). “Today I was able to test the strength of the AR. Clients have bought a field lot in a town south of here where they plan to construct a house for their retirement. They asked me to come and dowse the property to determine the energetic condition of the site and to make suggestions that might help them plan out the best possible design. Normally, when I do vibrational work on a place, I wear multiple strengthening devices such as the BG Medallion, an amethyst six-pointed star, and so on. Instead, I decided to wear an Atlantis Ring on each hand. We spent about 1 hour on the site while I tested it for underground watercourses, sinkholes, Benker lines, EMFR from cross-county power lines, microwave radiation from neighboring power meters, and ionizing radiation from radioactive minerals underground. I did find a couple of Benker lines and stood in the vortex where they crossed. One of the clients could actually feel the dysphoric effect of standing there. There was another small vortex and a few electrified Hartmann lines. In other words, I did substantial and prolonged testing without placing corrections in the bare lot. Returning home, I am pleased to report that I am not affected negatively nor do I feel a need to shower or clear myself as I usually would. My findings are that the Atlantis rings enabled me to maintain my personal energy field while testing and moving through toxic energy lines. I also tested adjacent sources of toxicity such as high tension power lines. Usually, this produces a sensation of tiny squirrels having a barbeque in my stomach but that did not happen this time. Often, I feel a mild headache after property work and my vision becomes slightly more blurred, but that did not happen either. To maintain its full strength and efficacy, the Atlantis ring should be cleaned as needed. The cleaning frequency will vary according to the level of energy toxicity the ring is exposed to. Therefore, an Energy Healing practitioner should clean it more often than a regular user as they are continuously exposing themselves to the energy imbalances of others through their healing work. As the ring has recesses and grooves that easily accumulate impurities or dirt, the recommendation is to use water, liquid soap without moisturiser and a small brush to clean the ring, specially inside these channelled spaces. Normal tarnishing doesn’t affect the ring’s energy, but if an unusual fast blackening of the jewelry happens, it is a good idea to clean it as it may have absorbed energies in order to protect you. There are natural ways of cleaning oxidation with simple household products such as baking soda. Anti-tarnish or polishing wipes and compounds may be used to remove the oxidation if one prefers a brighter finish. These products are usually found at most hardware stores or supermarkets. Any metal will benefit from a few hours of direct sunshine once in a while. The frequency for the above procedure will vary from person to person. As a general guideline, check your jewelry often to verify that the channels are not blocked with cream, soap or dirt and clean it as needed. 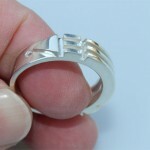 This will ensure that the Atlantis Ring is receiving your loving care and vibrating at its full original strength. For more information on Biogeometry and the work of Dr. Ibrahim Karim visit http://www.biogeometry.com. For energy healing consultation you may contact Anthony Cowan at .